I am so proud to be a Canadian and I haven't even travelled anywhere to get the foreigner's prospective on Canadians. But my children have, and lots of my friends. I don't have that flag waving, heart thumping, in your face pride... I have that "look straight in your eyes.... know that I am a Canadian" pride. Remembrance Day is one of those things that I am proud of. We remember. 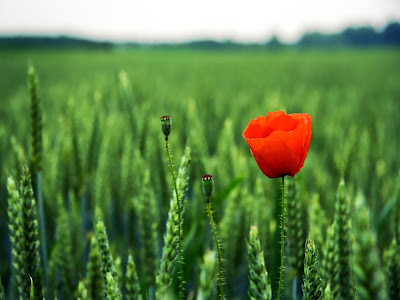 Even if we don't remember the war, even if we don't have family who were in the war, even if we don't associate with the Military at all, due to where we live, or what we do for a living..... we remember. I was raised in a Military family, in Military communities, married into the Military, who was raised in a Military family, and lived in Military communities. When I was a kid, I thought it was only the Military who remembered. When I moved out of the military environment, and into small town communities... I realized that everyone remembers. Our schools honor and teach it... our businesses do as well. In Nova Scotia, there is no school for anyone, and all businesses are closed. I am not sure why, but I like it. Wait, I know why, because its Remembrance Day, and we get the whole day off. But, what I meant was, why are we so lucky to get the whole day off... I like it, anyway. Therefore, at school, the Remembrance Day ceremonies are attended by all students, staff and community members, on the day before Remembrance Day. Thats ok... it gives kids a great sense of the day, and then they get to have the whole next day off. In Ontario, and many other provinces, children are in school all day and most businesses are open at noon. Government workers, Military and Civilian, are off all day too. You know, some people say that is not right, that schools and businesses are open on this day... but... I am ok with this. In every school, the children take part in a ceremony that teaches Remembrance. They do the exact same thing as we do in Nova Scotia, but on the proper day. Businesses remain closed until noon, in respect for the 11th hour. The moments of Silence... where we can all reflect, even if we only have a moment to reflect, its at 11:00. I feel we are lucky in NS to have the whole day, and I wouldn't ever want that to change, but I don't think that the other provinces are wrong in what they do. I appreciate that schools and businesses respect the day. I appreciate that we have the FREEDOM to do what ever we want on this day because of the wonderful men and women of the past who served our country and allowed us this freedom. Don't worry, if the schools keep doing what they do... and businesses do what they should... we will always Remember.